Want to whip up a homemade cookie, bursting with caramel flavor, coconut and pecans? 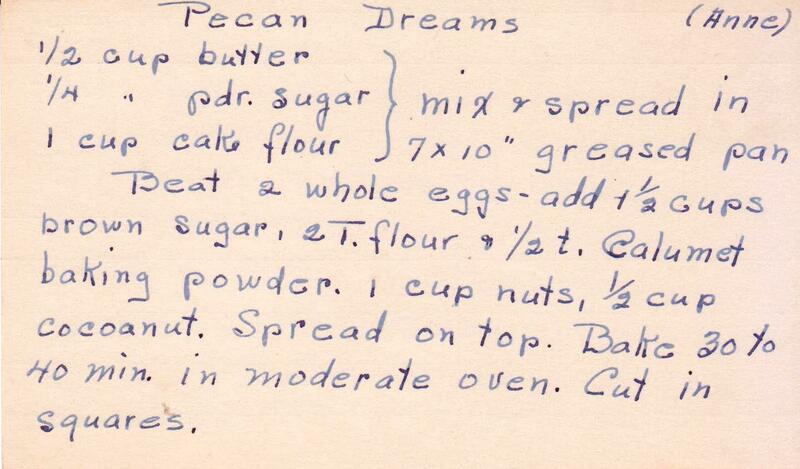 Then look no further than the aptly named Pecan Dreams. 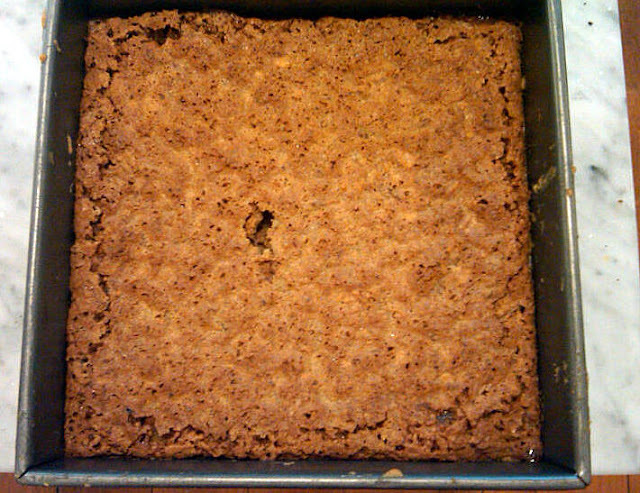 These are bar cookies, a very efficient way to bake, for instead of forming each cookie individually and baking sheet after sheet of them, these are baked in one tin, then cut into squares when cool. Now, these aren't the most gorgeous of cookies, but no one will ever mistake them for store-bought. 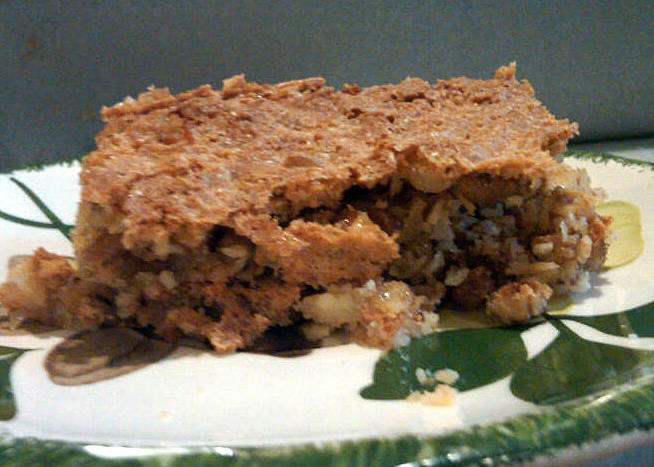 And the two layers (the crust base and the flavorful topping) make them more interesting than, say, brownies, the most famous of all bar cookies. Above, the base in place; below the topping. It's much easier to distribute the topping evenly if you have an offset spatula. 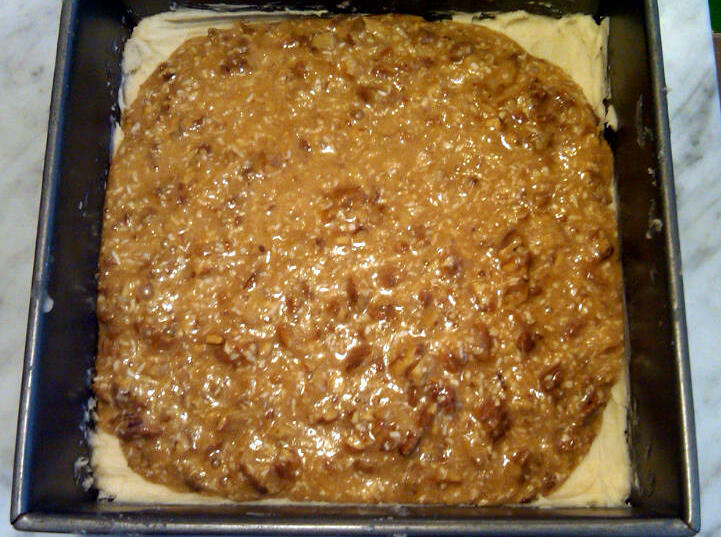 Make the base, pat in pan, then spread the topping over it. 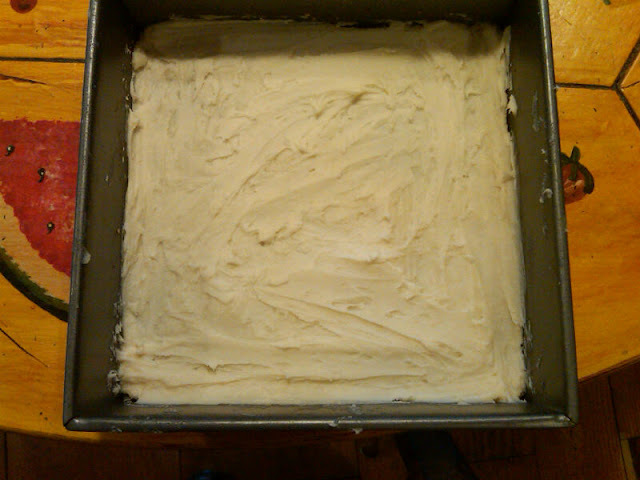 You need not use cake flour, and don't worry if you don't have 7 x 10 inch pan -- I've never even heard of that size. 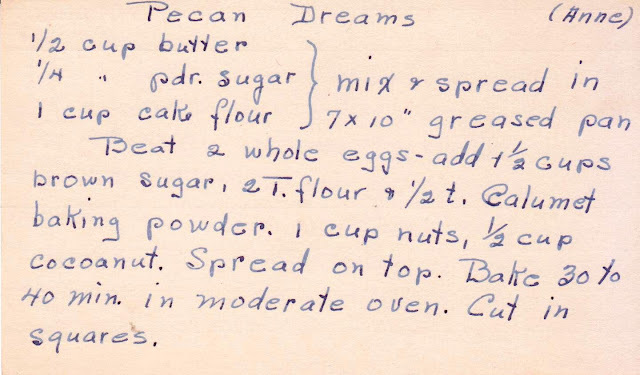 A standard 8 x 8 pan works just fine.